Like every year the perspektive mauthausen hosts its cultural event in the rememberance of the happenings around the so-called “Mühlviertler Hasenjagd”. 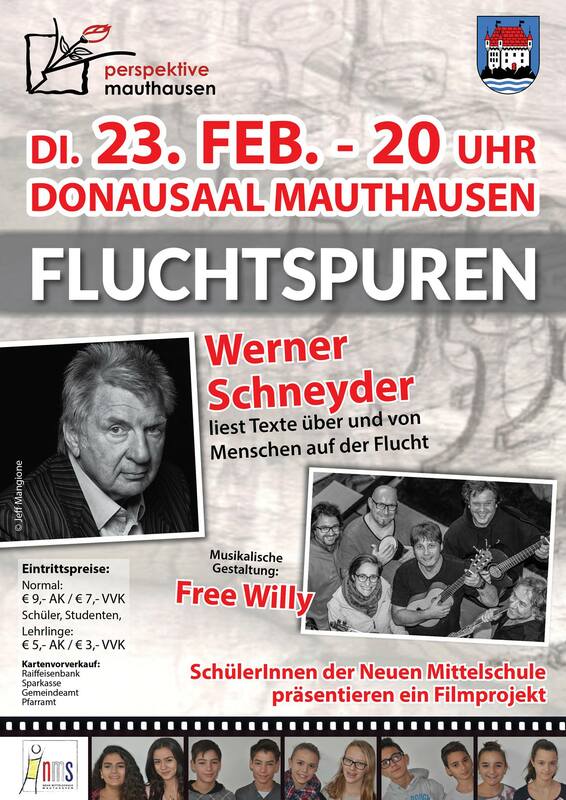 For 2016 the organizers were able to engage the actor, author and director Werner Schneyder. He will read texts from and about people escaping – this topic not only exists in the context of the NS-time – unfortunately it’s also present today. The event will be musically accompanied by the austrian based band Free Willy and the students of the “Neue Mittelschule Mauthausen” – they are presenting a very own movieproject. 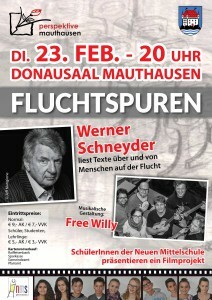 For tickets and further information look at the following flyer (only available in german) or contact us. The organizers along with the contributors are looking forward to welcome you on that special evening.